Based centrally in Manchester, Axica focus on Software Development, IT and Marketing. They're packing some great benefits: paid gym membership, an onsite restaurant to fuel you before diving into a game of 5-a-side footy and even £10,000 towards a holiday for the yearly top biller! One to one comprehensive training allows you to grow at your own pace. Axica has been established since 2009, when we decided to merge two businesses in order to best supply to our clients. We cover a range of areas with Axica with our core areas being Software Development, Marketing and IT. 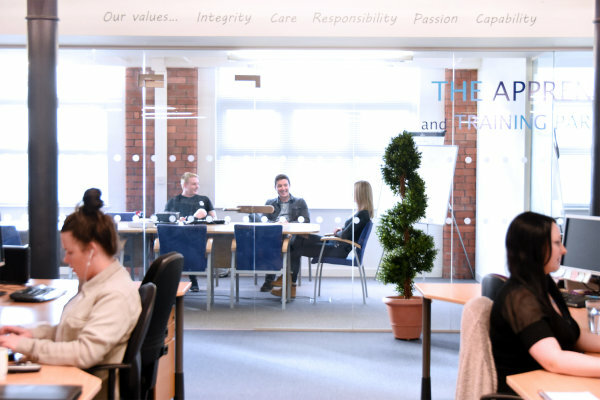 We have been a continually profitable company, combining fantastic service delivery to our range of clients and candidates with a genuine investment in the futures of our consultants. We have some of the best retention rates of any SME business in Manchester and this is driven by our desire to see our consultants succeed. We are a group of hardworking individuals who love being part of a team, have shared goals and most importantly enjoy supporting others in their successes. We also have an engineering arm as part of the group, Projeq who specialise in Core Engineering and Manufacturing sectors. We place candidates in both permanent and contract positions, across the UK. Working for Axica, you will get the autonomy that a mature environment deserves. We don't have KPIs, we back our consultants to do things right and guide them to their own success.